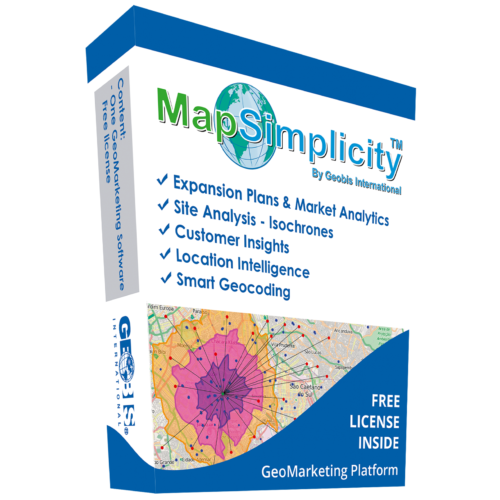 MapSimplicity Analytics is the easiest way to enhance Geographic Business Intelligence (GBI) with powerful tools that fuel your Decision Making with Updated Information, Digital Maps, Images, GeoData and Customers throughout the Americas and The Caribbean. This new, exciting service works in different environments such as Web Enabled platforms, Intranets, single user subscriptions and will soon under smart mobile Android platforms. A complete set of options are included in this GBI platform, all of them covering the aspects needed in the many tasks your business requires, saving days and months of work. 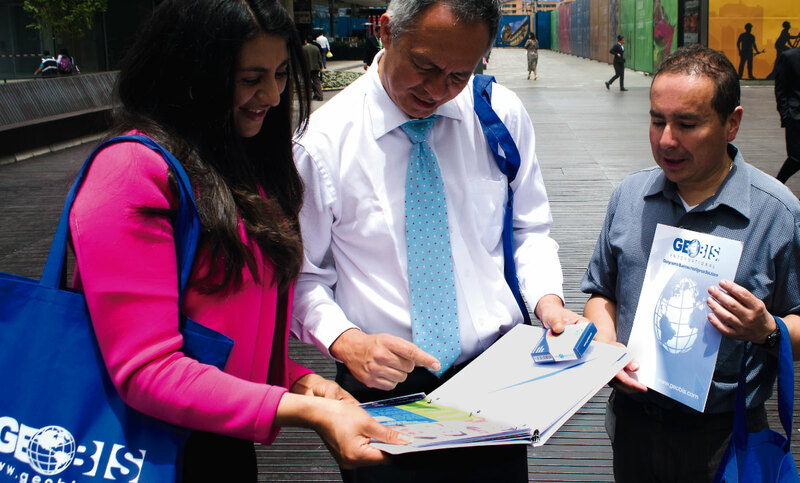 Main modules are in order of importance: Digital Maps, Location Intelligence, Customer Strategies, Site Analysis and Market Analysis. All aspects concentrating on Location are the main focus of this stage. 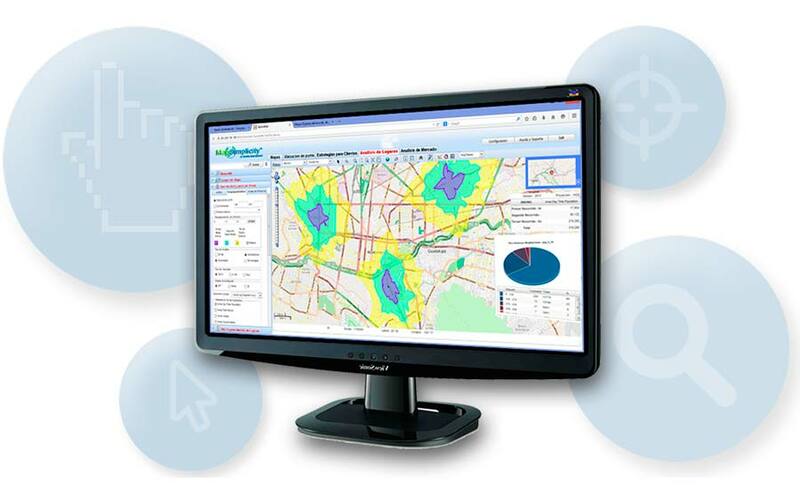 The user can upload, locate and analyze thousands of points directly on complete, colorful maps or satellite images. A real beast of a machine in doing Rings and Isochrone Analysis for any site over the detailed arena: Block Level. 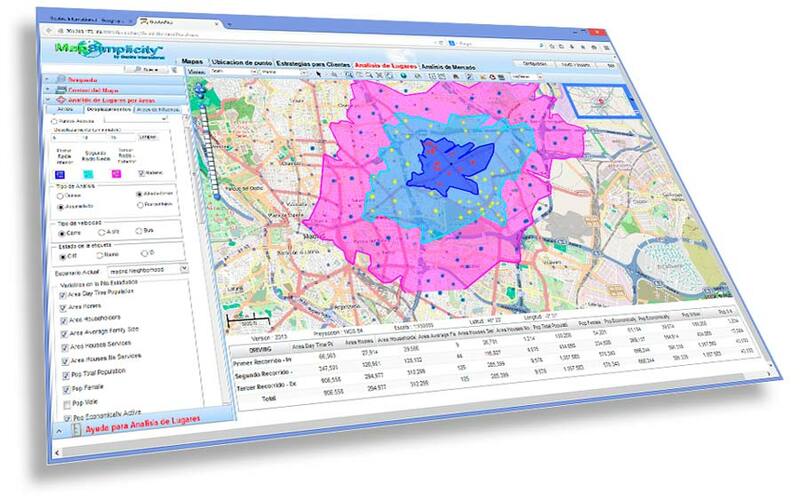 Get in seconds what you would spend in months performing an analysis with complete, segmented maps & reports using Site Analysis. En esta sección usted visualizará la ubicación demográfica de sus clientes y escenarios, esto lo llevará a una comprensión completa de cómo desarrollar estrategias de clientes, utilizando Arañas y Análisis resumidos. Todo esto de una forma rápida y sencilla. States, Counties, Municipalities, Parishes and Neighborhoods. Variables: Population by Age and Gender, Rural and Urban percentages, Average Household & Distribution, Number of Houses, Buying Power, Detailed Expenditures, Risk Levels, Gross Domestic Product, Private Consumption, Government Consumption, Others. We build your custom variables if required. Answering this important question is a critical issue in different industries, because each site is unique in terms of its market conditions and characteristics. 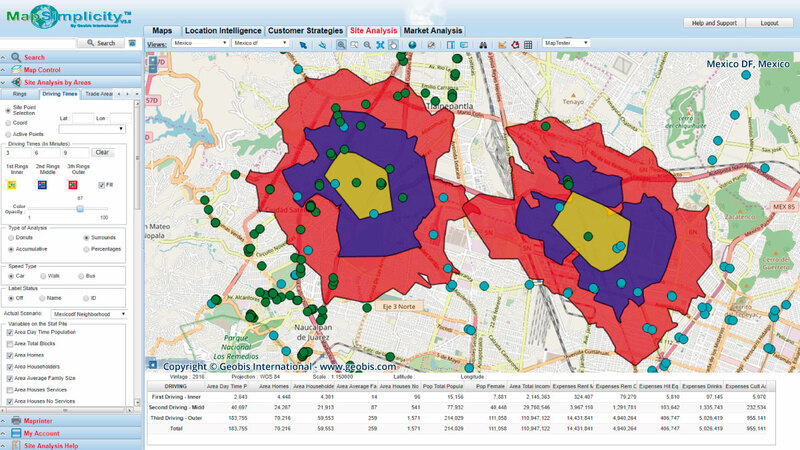 Site Analysis brings information of a place in different angles. This makes a real difference at any commercial strategy planning. 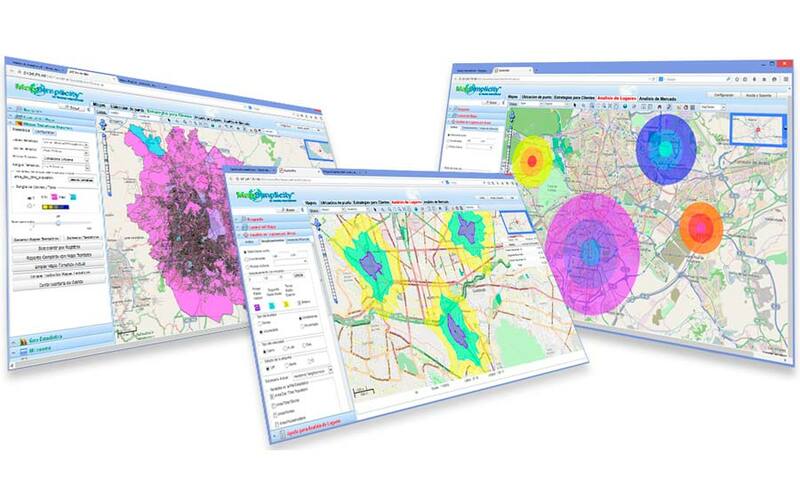 The most popular ways to perform a Site Analysis are: rings or driving time Isochrones, polygons and customized trade areas. 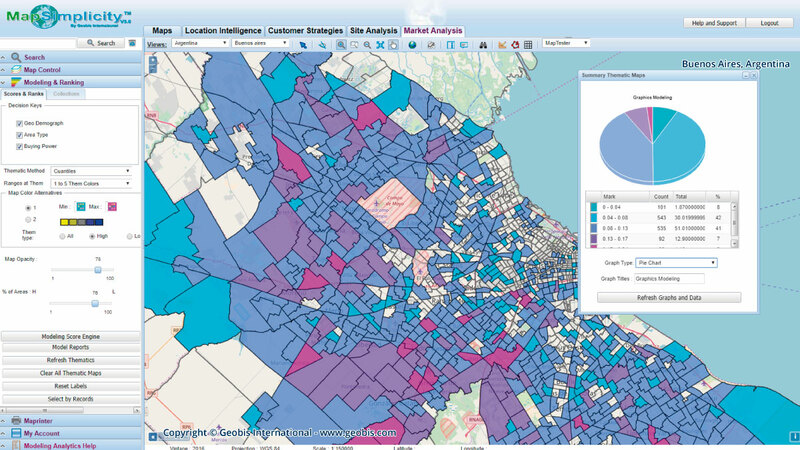 What’s new in MapSimplicity 3.0? We introduce some of the new features available in the new solution for Markets and Business in the Cloud. 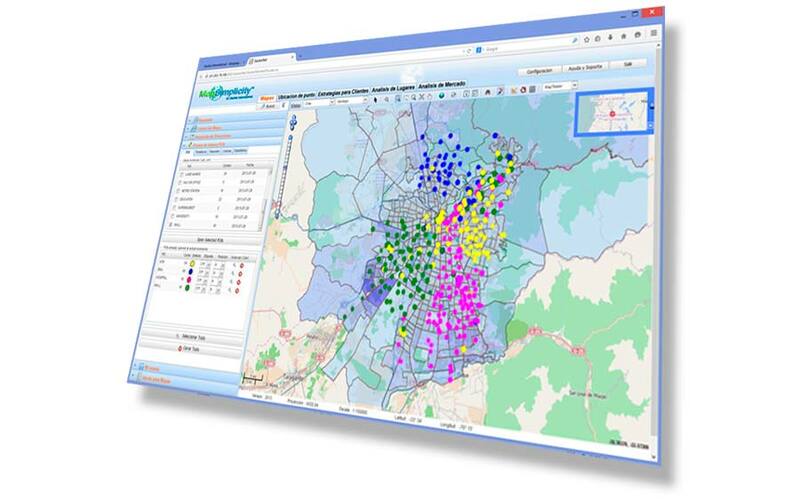 The whole navigation system for Analysis, Consultation and Deployment of information has been rewritten and will make the new MapSimplicity Navigation System more robust and faster than the existing version. 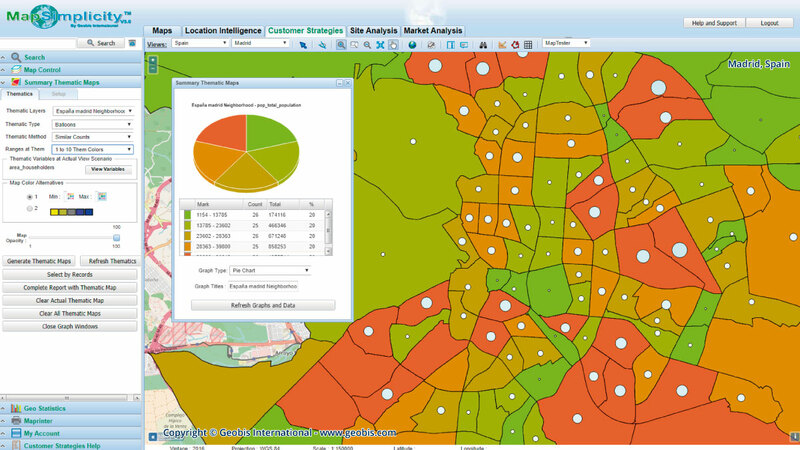 New statistical report summarized by neighborhood level, includes all the detail needed to be aware of changes in demographic data in an environment analysis of a region, resulting in a single thar shows all the different settings available. 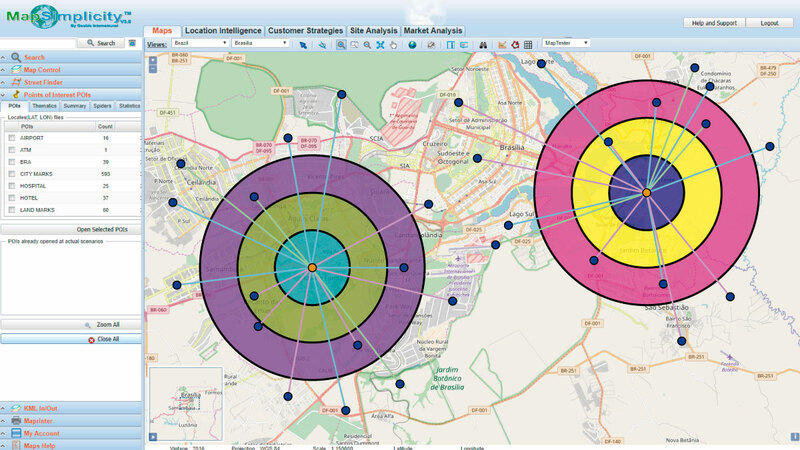 The first machine to manipulate KMLs facilitates KMLs import and export to and from the new Geobis MapSimplicity platform, allowing them to keep the attributes of the maps for consultation and multiple operations. Professional printing system in Portrait and Lanscape formats for all maps enviroment which includes the ability to print for vector maps, shadow maps, thematic maps, isochrones maps , ringsmaps and satellite images. With addition of the new transformer robot 2.1. Professional georeferencing platform GeDots has become independent, now has a set of unique and powerful servers that make data processing a fast and easy job, all processes of geocoding are treated professionally and at the speed that every user needs in terms of practical results. Includes a breakthrough in the mass data processing with the new interface for end users, called Transformer Robot , a system that allows the loading of any file regardless of the variables architecture to facilitate in a fast way the automatic address georeferencing processes and upload files with latitude and longitude coordinates I XY. 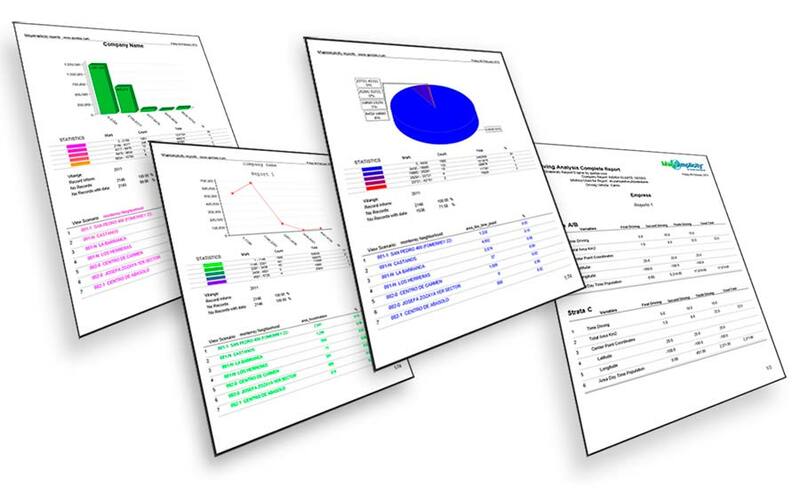 A new level is added to the Demo, Education, Junior, Basic, Silver, Gold and Diamond platforms: The new Platinum version facilitates unlimited access to all data for download as well as the generation of isochrones up to 25 minutes each, the new query alternative and reporting is an open bar for information avid and reports online for the full development of their analysis. Companies have different requirements specifically for their customers, sales and market information. Here is a list of different industries which are benefiting from the MapSimplicity products and services, click on your company industry and learn how to take advantage of all the MapSimplicity features and grow your business. 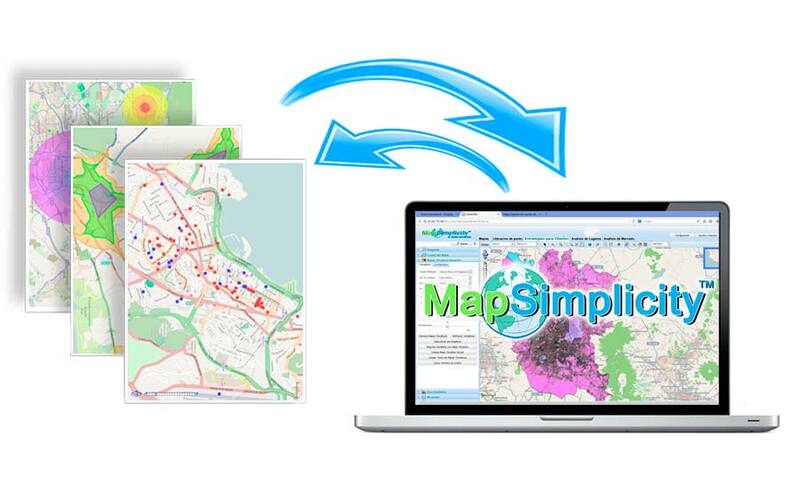 Do you want to know more about MapsSimplicity features?, watch our videos here or in our Youtube channel! 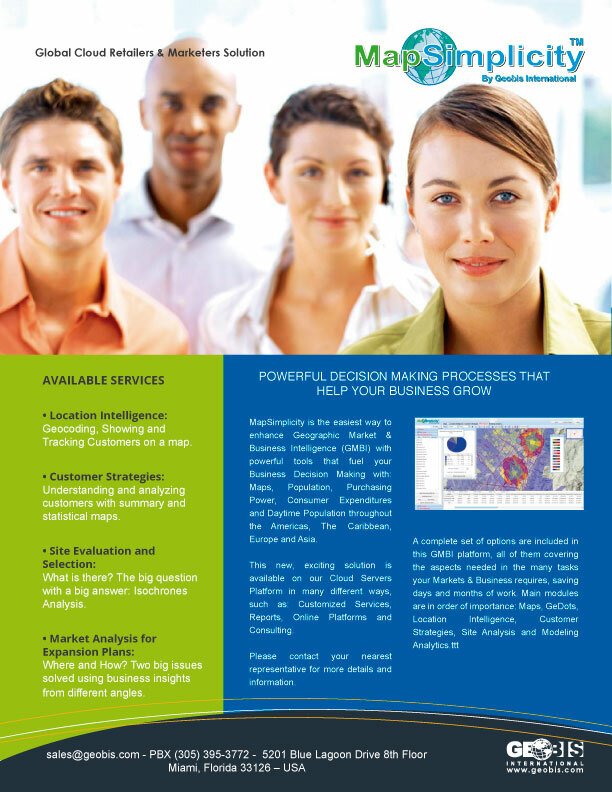 Access MapSimplicity, the platform that will help you improve Business Geographic Intelligence.